Everybody loves a hero, especially the underdog. From SuperBowl Games, to Ben Johnson & Carl Lewis, we love the dramatics of the David vs. Goliath. Even more so when the runner has to come from behind to win when you think they are down and out. My very first memory of coming from behind to win (when all hope was lost) was the 800 meters at the 1972 Olympics with USA’s David Wottle. And I can think of a hundred relay races, especially the 4x400m, where the anchor leg has to come from behind several meters to win. But in most cases, the runners are tensed up and run the risk of over-striding. It’s just a natural instinct to reach out if it means straining. Sure, it’s easy to say to “run your own race”, but how about about handicapped races where your (awesome) seed time puts you in the back? 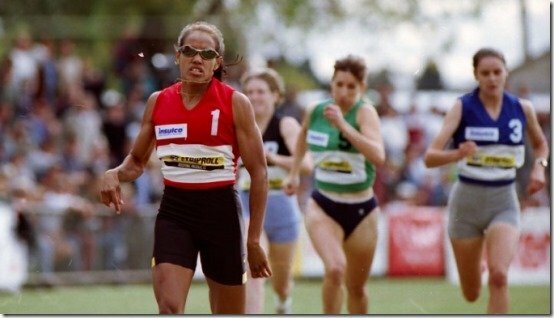 In Australia, famous handicapped races include the Stawell Gift and Bay Sheffield, both on grass surfaces! In December 2012, Joshua Ross became the first man in 126 years to win the 120m Bay Sheffield from the “scratch” position. Check out his form on YouTube (with slow motion) and see if it differs from his regular running form? 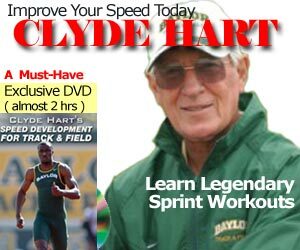 READ Have We Only Produced 100 faster sprinters in the last 44 years? 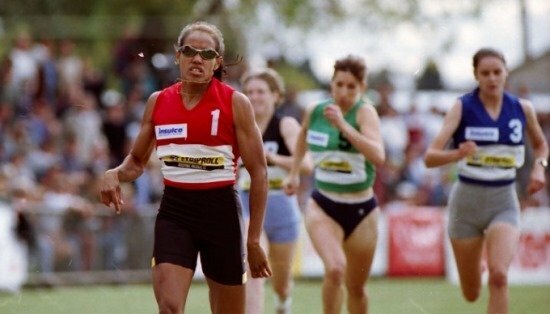 You don’t even see Cathy Freeman until the very end. And she even gets a nasty elbow from the runner in the green uniform on the homestretch! You can tell she gave it 100% as most sprinters who win cross the line looking fresh ready for the victory lap!